This endangered, green tree python was rescued and given a new, zoo home after smugglers tried to sneak it from its natural habitat in South Africa to be sold as a pet in Germany. Illegal animal trafficking is an increasing problem for exotic animals like these snakes, because some people will pay a lot of money to have them for their private collections. Snakes are smuggled in cloth bags, and often don’t survive the trip. Airport screenings are getting much tougher, and governments around the world are cracking down on smugglers, who are one of the main predators that threaten these endangered creatures. Be part of Seymour Simon’s celebration of Earth Day 2012 by sharing your own photographs! Take a digital photo showing an Earth treasure around your school or home that makes you appreciate our planet. Click on “Send Us Photos/Video” (in the yellow bar at the top of every page) and follow the instructions to upload it to the website. We will publish your Earth Day photos and videos on Seymour’s blog, and each person or class that uploads a photo will be entered into the drawing to win a personally autographed book from Seymour Simon! I read your SNAKES book and I found a mistake! Snakes are venomous, not poisonous. Venomous means to inject venom and poisonous means to touch or absorb it. I learned this at Lake Pleasant in Arizona. It was my field trip. My name is Jack R. I’m a student at Wildfire Elementary School in Phoenix, Arizona. I still love snakes and reptiles. Thank you, Jack, for taking the time to write. You clearly learned a lot on your field trip! In fact, I have received several letters lately because one of my old favorites, a book called POISONOUS SNAKES, has just been re-published. 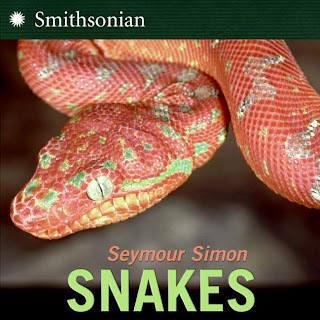 Since it is a book for kids and almost all kids (as well as adults) refer to snakes as ‘poisonous’ or ‘non-poisonous’, we decided to use that term in the title of the book when I wrote it years ago. These are also the words used in searches by kids. So, my intention was not to deceive anyone or use incorrect words, only to make the book easier for kids to fine, and to plainly label what the book is about if they were to look it up. Jack is correct, though. Venom is injected by snakes and other animals, and poison is ingested (eaten), like when birds eat some kinds of butterflies. So technically, snakes are not poisonous or non-poisonous….they are either venomous or non-venomous. Here are two examples, to help you understand the difference. This is such a beautiful photograph of a lionfish, but you can’t always trust your eyes. This lionfish is venomous and dangerous to humans as well as other marine animals, because it uses those sharp spines to inject paralyzing venom. A monarch butterfly, on the other hand, is poisonous because its larva eats milkweed, which contains a poisonous chemical. If a bird or other predator eats a monarch, it eats the poison. But you can touch a monarch without any danger - you’re safe as long as you don’t swallow it! Notice that both the lionfish and the monarch have bright colors and patterns on their bodies. These are known as "warning colors," which keep predators away. Yesterday, as my wife Liz and I were out putting holiday lights on the bushes in front of our house, we came upon this garter snake sunning itself in a bed of dry leaves that were caught in the branches. He was so quiet that I reached forward to see if it was alive. Sure enough, it slithered away, out of sight. I spotted it there again this morning, though. This must feel like a cozy spot! What is surprising is that normally, in December, this snake would already be down in a den below ground, sleeping together with hundreds of other snakes for the winter. Once the weather cools down to normal winter temperatures, that is what it will do. OK - WRITERS, ARE YOU READY? Write a few sentences describing the snake on the bush. If you like, you can put yourself (the writer) in my place and describe finding the snake. Use comparisons to describe how the snake looks in amidst the branches. Maybe ask a question that the reader will be thinking about as he or she looks at this photograph of a snake in a tree. Use as many descriptive details as you can to describe what the snake looks like, how it felt to find it in such an unexpected place, or even how you think it was feeling when humans showed up! Post your writing by clicking on "comments" at the bottom of this blog. I am looking forward to reading what you write! The Federal Wildlife Conservation Center outside of Mexico City is the home to many rare and endangered species that have been rescued from illegal smugglers. These spider monkeys are being raised by the center’s specialists after they were found inside an abandoned canvas bag, along with three who didn’t survive. The black rattlesnake below, seen inside a plastic tube, was also rescued from illegal traffickers. According to Mexico’s Federal Wildlife Conservation Department, at least 2,500 different animals are rescued there every year. If you are interested in wildlife conservation and learning more about what you can do to help stop illegal wildlife trading, the website of The Wildlife Conservation Society is a good place to start. They started in the early 1900’s when they successfully helped the American bison recover on the Western Plains; today, they manage about 500 conservation projects in more than 60 countries. As our human population grows, we impact more animal habitats and use more of their resources. By learning more about our impact on nature, we can all help to protect endangered animals. Which are the Biggest Snakes? I received a letter this week from Hickory Hill Elementary School in Papillion, Nebraska. The third graders are asking a very good question, and I thought other readers might be interested in this, too. My third graders just finished reading the book Giant Snakes in a guided reading group and they had a question regarding the book. On page 16 it states, "Anacondas are the largest snakes on the world" and then on page 19 it says, "The Reticulated Pythons of Southeast Asia are the longest snake in the world." They are curious as to which one really is the biggest snake? We really appreciate your books and love the pictures! Thanks in advance for your help with our question! Hello, Third Graders! Good question. Anacondas are generally the largest (meaning heavier and wider, foot for foot) than pythons. But the Reticulated Pythons are the generally the longest (but not the biggest or largest) snakes in the world. So it all depends upon what you mean by big. To give you an idea of just how long these snakes are, look at this photograph of kindergartner Faith Hackett holding the head of a Burmese python at Wildwood Park and Zoo in Marshfield, Wis., during a presentation on rescued exotic animals. Thanks for writing, and happy reading! I had a great "double Skype" session today with third and fourth graders in two schools in Durham and Middlefield, Connecticut. They have been studying my books and skyping with each other, and today all three of us did a Skype session together. The students were very well-prepared with questions about my books. They particularly love the very close up photographs in books like ANIMALS NOBODY LOVES, and wondered: how does the cameraperson get so close to a dangerous animal without getting hurt? This is a very good question, and one that I am asked quite often. For a shot like this one, of a rattlesnake’s mouth and fangs, the photographer uses a bit of trickery called a "telephoto lens." That lens takes a picture that seems as though you are very, very close, when in fact, you are safely far away. Nobody is going to get THAT close to a poisonous snake! The round area with a dark slit (at the bottom of the rattlesnake’s mouth) is a duct for releasing the venom. You can learn more about that and see a diagram at this link. Thanks to Mrs. Kohs and everyone who helped to organize today’s Skype session. I really enjoyed talking with you all! Interview with the Famous BRONX ZOO COBRA! The news this week has been full of stories about the young Egyptian cobra who escaped from her cage in New York’s Bronx Zoo. She even had her own Twitter feed with over 200,000 followers. I must say, that’s a bit annoying - how do I get that many Twitter followers? The missing cobra was found yesterday, safely curled up in a corner of the Reptile House. How did I become the first person to interview the country’s most famous reptile? Why does a water moccasin cross a trail? I was walking down a trail in a swampy area near the shore in a National Wildlife Refuge in Virginia when this poisonous snake, a water moccasin, crawled out of the grasses on one side of the trail and headed across to the other side. Naturally, I had no objections. Why does a water moccasin cross a trail? A water moccasin is also called a cottonmouth or a black moccasin. It’s called a cottonmouth because it will stand its ground and open its jaws, exposing the white lining of its mouth. Adult water moccasins are large and capable of delivering a painful and potentially fatal bite, but their reputation for attacking people without warning is not exactly accurate. Water moccasins live in the Eastern part of the United States, usually near slow-moving streams and shallow lakes. They are strong swimmers and will even enter the ocean where they will sometimes swim to nearby islands.